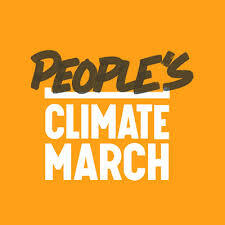 The ANSWER Coalition will be mobilizing its members and supporters to attend the historic People's Climate March. World leaders are coming to New York City for a United Nations summit on the climate crisis. With our future on the line and the whole world watching, we will take a stand to bend the course of history. We will take to the streets to demand the world we know is within our reach: a world with an economy that works for people and the planet; a world safe from the ravages of climate change; a world with good jobs, clean air and water, and healthy communities.